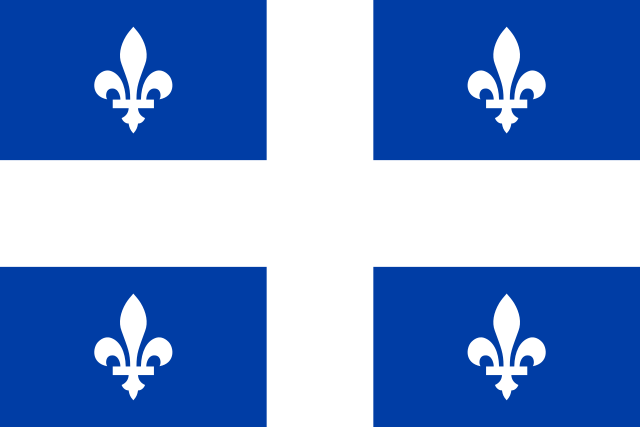 Français : Drapeau du Québec. 3. el creador falleció hace más de 50 años. 23:40 15 abr 2011 600 × 400 (2 KB) Mnmazur Added a general 'xmlns' declaration, as I'm getting fatal errors without its inclusion. Not much code to make sure it works 100% of the time. 06:31 9 mar 2011 600 × 400 (2 KB) Zscout370 Reduce code, more precise decimals. 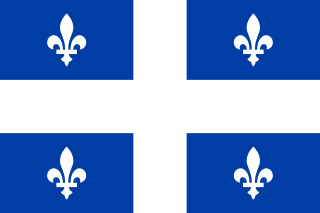 04:36 9 nov 2010 600 × 400 (4 KB) Mnmazur Code cleanup: standardized size and positioning of fleurs-de-lis, adjusted the size and position of the cross to be more absolute, did a full background to prevent low-resolution rendering issues, and made use of cloning to reduce file size. 21:53 3 abr 2008 600 × 400 (5 KB) DarkEvil Used government of Quebec's eps. Changed Pantone reflex blue color to appropriate RGB conversion for web display. Pantone is for printing.